Just when we thought the West was about to become competitive again, after LeBron signed with the Lakers, another All-Star joined the Dubs. When Cousins returns from his injury, Golden State will have a starting five, solely consisting out of All-Stars. The question is: when will Boogie return, and how, after a servere injury like that. 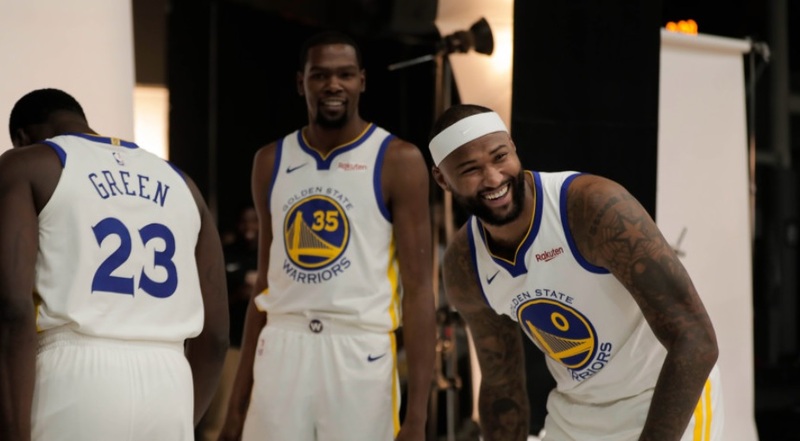 While we still don’t have a timetable for his return, Cousins has been practicing with the Warriors G-League affiliate, the Santa Cruz Warriors. He also is part of some Warriors activities, just like yesterday, when he played a one-on-one against Kevin Durant and absolutely posterized him. Can Stephen Curry Beat His Dad Dell Curry in a Game of H-O-R-S-E?